^ Rook EJ, van Ree JM, van den Brink W, Hillebrand MJ, Huitema AD, Hendriks VM, Beijnen JH. Pharmacokinetics and pharmacodynamics of high doses of pharmaceutically prepared heroin, by intravenous or by inhalation route in opioid-dependent patients. Basic Clin. Pharmacol. Toxicol. 2006, 98 (1): 86–96. PMID 16433897. doi:10.1111/j.1742-7843.2006.pto_233.x. ^ Riviello, Ralph J. Manual of forensic emergency medicine : a guide for clinicians. Sudbury, Mass. : Jones and Bartlett Publishers. 2010: 41. ISBN 9780763744625. ^ Diamorphine Hydrochloride Injection 30 mg – Summary of Product Characteristics. electronic Medicines Compendium. ViroPharma Limited. 24 September 2013 [30 March 2014]. （原始内容存档于2014年3月30日）. ^ Field, John. The Textbook of Emergency Cardiovascular Care and CPR. Lippincott Williams & Wilkins. 2012: 447. ISBN 9781469801629. ^ Friedrichsdorf, SJ; Postier, A. Management of breakthrough pain in children with cancer.. Journal of pain research. 2014, 7: 117–23. PMC 3953108. PMID 24639603. doi:10.2147/JPR.S58862. ^ National Collaborating Centre for Cancer, (UK). Opioids in Palliative Care: Safe and Effective Prescribing of Strong Opioids for Pain in Palliative Care of Adults. May 2012. PMID 23285502. ^ Uchtenhagen AA. Heroin maintenance treatment: from idea to research to practice. (PDF). Drug and Alcohol Review. March 2011, 30 (2): 130–7. PMID 21375613. doi:10.1111/j.1465-3362.2010.00266.x. ^ Sawynok J. The therapeutic use of heroin: a review of the pharmacological literature. Can. J. Physiol. Pharmacol. January 1986, 64 (1): 1–6. PMID 2420426. doi:10.1139/y86-001. ^ Klous, M; Brink, W; Ree, J; Beijnen, J. Development of pharmaceutical heroin preparations for medical co-prescription to opioid dependent patients. Drug and Alcohol Dependence. 2005, 80 (3): 283–95. PMID 15916865. doi:10.1016/j.drugalcdep.2005.04.008. ^ Inturrisi, C; Schultz, M; Shin, S; Umans, JG; Angel, L; Simon, EJ. 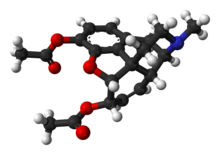 Evidence from opiate binding studies that heroin acts through its metabolites. Life Sciences. 1983, 33: 773–6. PMID 6319928. doi:10.1016/0024-3205(83)90616-1. 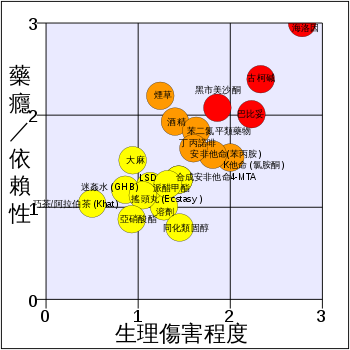 ^ 香港生活教育活動計劃( LEAP ) 互联网档案馆的存檔，存档日期2006-08-22.